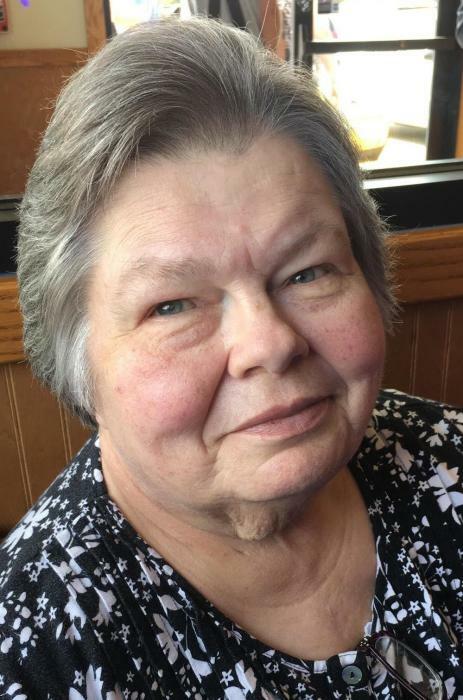 Beth Elaine Cutwright, age 66, passed away in Des Moines on Sunday, September 30th, 2018 at Unity Point - Iowa Methodist Hospital in Des Moines. Visitation will be 5 to 7 p.m. Friday, October 5th with a Celebration of Life Services beginning at 10 a.m. Saturday, October 6th at O'Leary Funeral Services in Norwalk. Burial will immediately follow in the I.O.O.F. Cemetery in Indianola. To send flowers or gifts from O'Leary's Flowers in Norwalk (no delivery fees) please click the send flowers tab on this screen or call (515) 981-0700. Beth Elaine, the daughter of Richard and Mary (nee: Dillard) Essick was born on July 28th, 1952 in Indianola, Iowa. She grew up in Indianola with her four younger brothers, showing them around the farm, teasing them often to help toughen them up. Beth attended and graduated from Indianola High School. Following high school she attended Iowa State University, studying early childhood education. Beth worked in customer service at Wellmark-Blue Cross Blue Shield for 36 years, retiring in 2010. Working at Wellmark is what brought Beth and her husband, Mifflin, together. One day when Mifflin was working as a security officer, he was asking for Beth’s work badge, (to replace it with a new one) and she refused, not knowing his intentions and the rest is history. In 1978, they united in marriage in Des Moines, at the Calvary Apostolic Church. They moved to Des Moines in 1984 where they raised their children, Michael and Amanda. Beth had an amazing crafting skill. She loved card making, scrapbooking, and even made an entire wardrobe for Amanda growing up. She enjoyed playing the Facebook game, Farm Town and listening to country music. Her most enjoyable hobby was spending time with all her grandchildren. Beth will be remembered for her caring and compassionate spirit. She never knew a stranger, and always welcomed everyone with open arms. Beth is survived by her two children; Michael (Joyce) Cutwright and Amanda (Erik) Purscell of Des Moines; mother, Mary C Essick of Indianola; siblings, Bill (Linda) Essick and Jim Essick of Indianola; grandchildren, Storm and Kane Cutwright, and Noah and Claire Purscell; and a host of nieces, nephews, and many friends. Preceded in death by her husband, Mifflin Cutwright; father, Richard Essick; and her siblings, John and Dennis Essick.